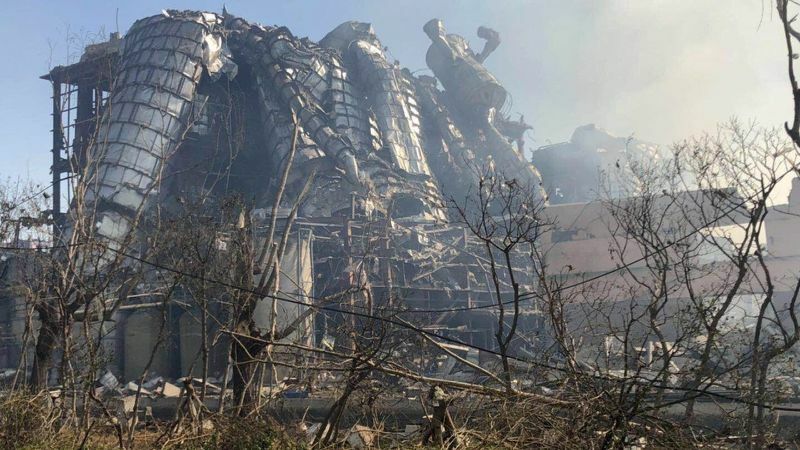 The chemical plant blast in China’s Jiangsu province on Thursday, which packed the force of a minor earthquake, has killed at least 47 people, left 32 in a critical condition and seriously injured 58, according to the local authority. The Ministry of Emergency Management said 88 people had been rescued from the scene. Injured people were streaming into the emergency ward at Xiangshui People’s Hospital – one of the largest hospitals in Xiangshui county, about 300km north of Shanghai – in the early hours of Friday. A man who was pulled from the rubble on Thursday night was shown calling his family immediately afterwards in a video clip by Xinhua. China Central Television reported that the blaze had been contained, but drone video images from Thepaper.cn showed the fire was still visible amid heavy black and orange smoke. A survivor who was standing by the roadside 1.5km from the factory said the impact blew him and two of his friends into the air and rolled them over several times before they fell to the ground. The car they were standing by was damaged severely, with a collapsed roof and broken windows, but they had no choice but to use it to drive to hospital. Workers at the Henglida Chemical Factory, 3km from the blast, said its windows and doors were blown out. Its roof collapsed as they tried to escape, and causing head injuries. Residents from Yancheng and nearby cities queued past midnight to donate blood.